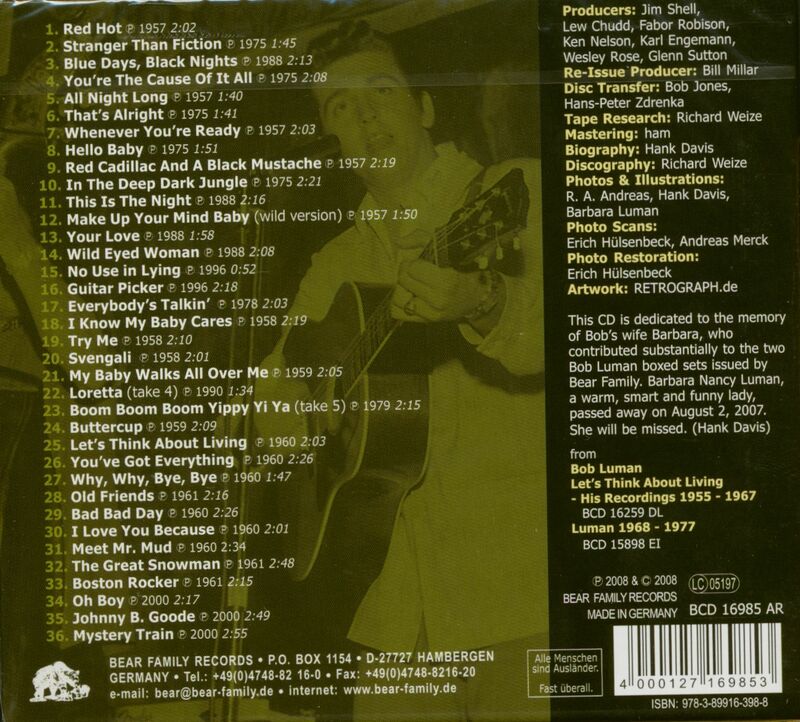 1 CD Digipac with 84-page booklet, Rock'n'Roll, tracks 36, playing time approx. 77:47. •	Offers Bear Family's critically acclaimed sound quality – these original tapes have never sounded so good! 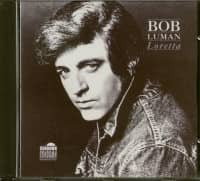 Bob Luman - Big, good looking, a fine singer, and a hell of an entertainer. Women loved him and men admired him. Bob Luman had it all. 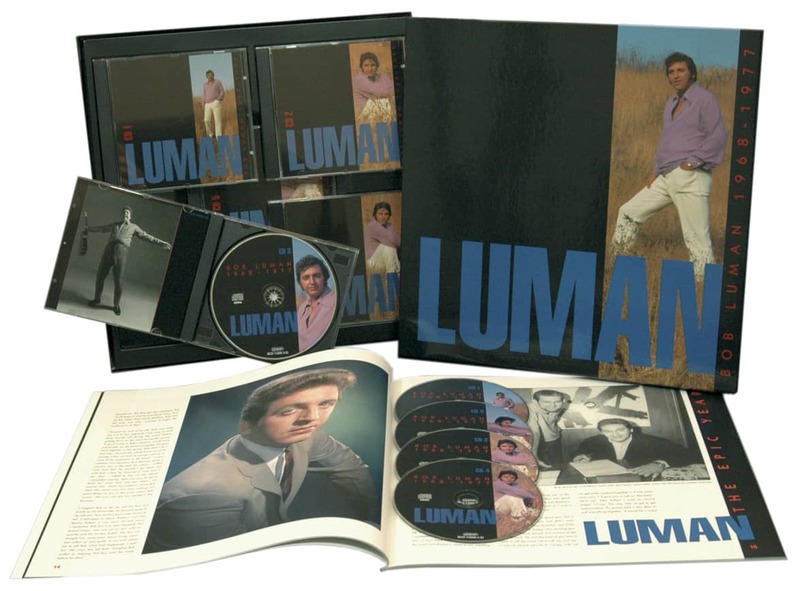 Bob Luman's entire recording career has been documented by Bear Family Records on two critically acclaimed box sets and a DVD of vintage performances. 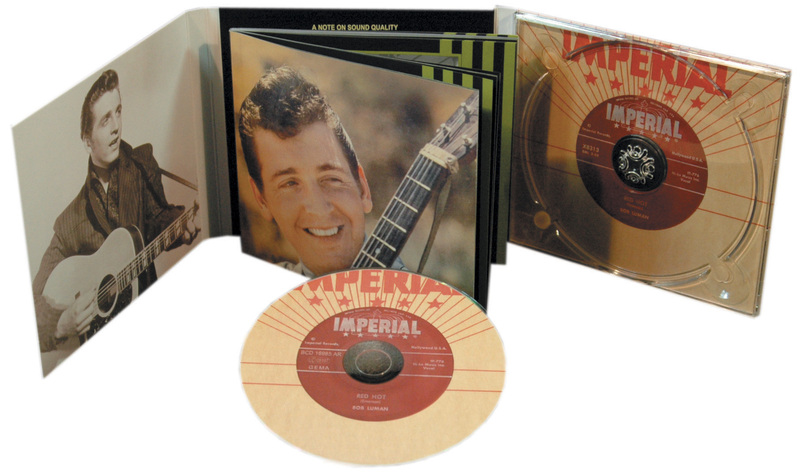 Now, the rockin' best of these two sets is available on a single CD, drawn largely from Bob Luman's earliest years. 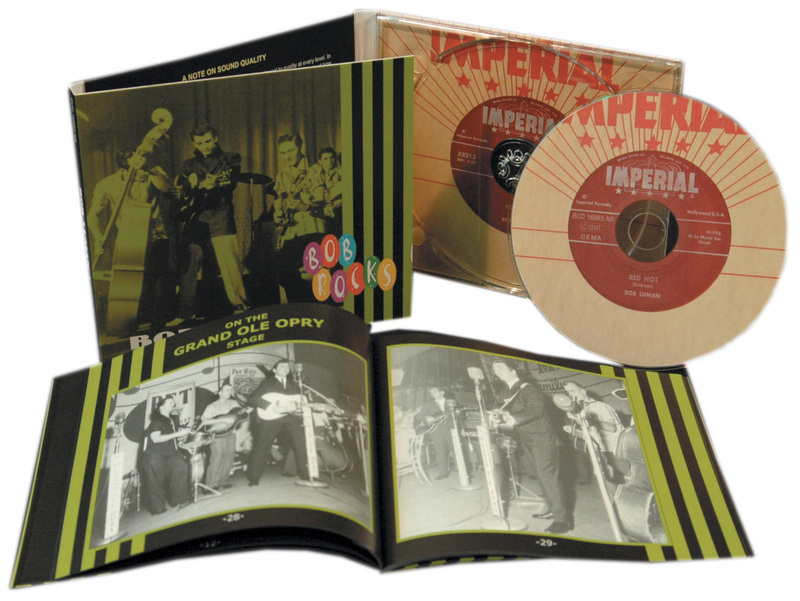 These tracks – including originally unissued material - offer ample proof of why Bob Luman is an icon to rockabilly collectors today. You'll hear not only the finest in Bob Luman's virile vocals, including his biggest hit Let's Think About Living, but also the stunning lead guitar work by the legendary James Burton. 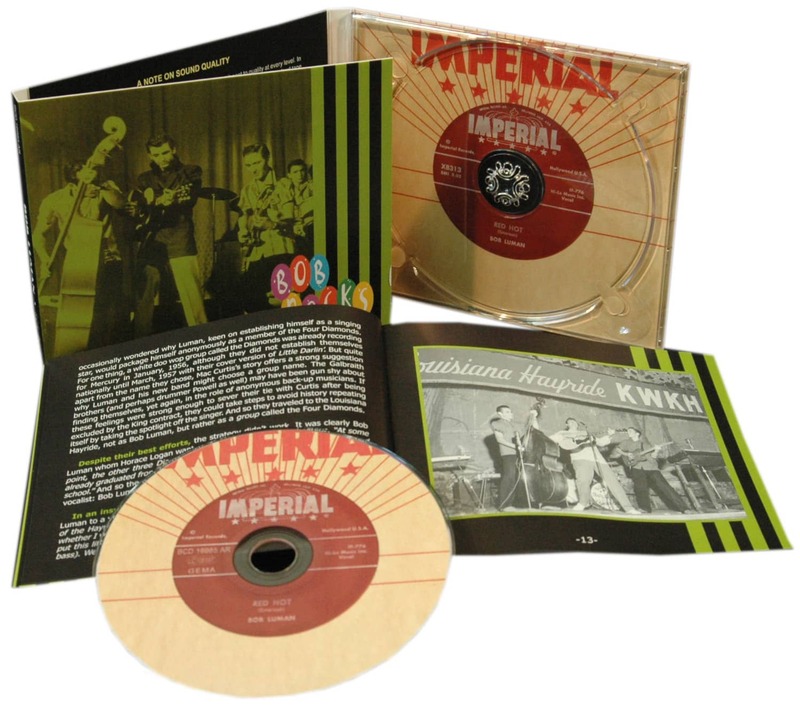 Sample the performances that led fellow Imperial Records artist Ricky Nelson to wrestle Luman's band away from him after the two men first met in Los Angeles in 1957. Included with this 36 track set is a detailed biography of the Texas rocker Bob Luman by music historian Hank Davis, based on exclusive interviews with Luman's friends, fellow musicians (including Burton) and family members. Learn how an aspiring baseball player and country singer changed his tune almost overnight after witnessing a vintage Elvis Presley performance in August, 1955. 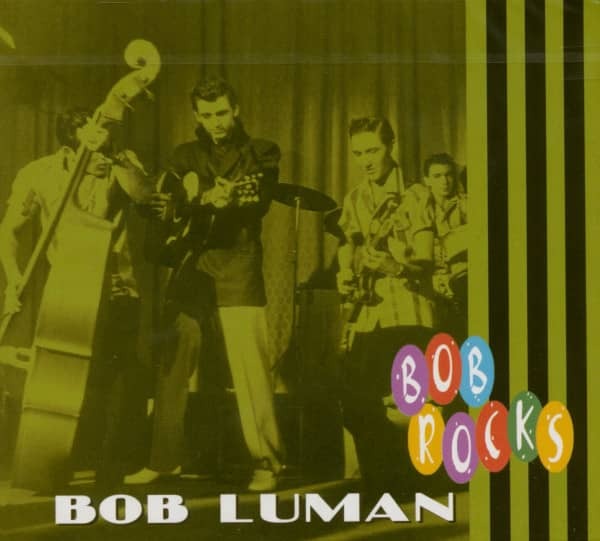 Bob Luman's story is almost mythical and this collection is a worthy addition to Bear Family's highly regarded 'Rocks' collection of pioneering individual artists. 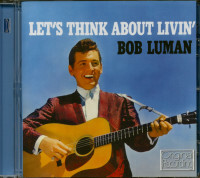 It's all here, on a single generously programmed CD, offering the very best of Bob Luman. There is no better collection of its kind on the market. Customer evaluation for "Bob Luman - Bob Rocks"